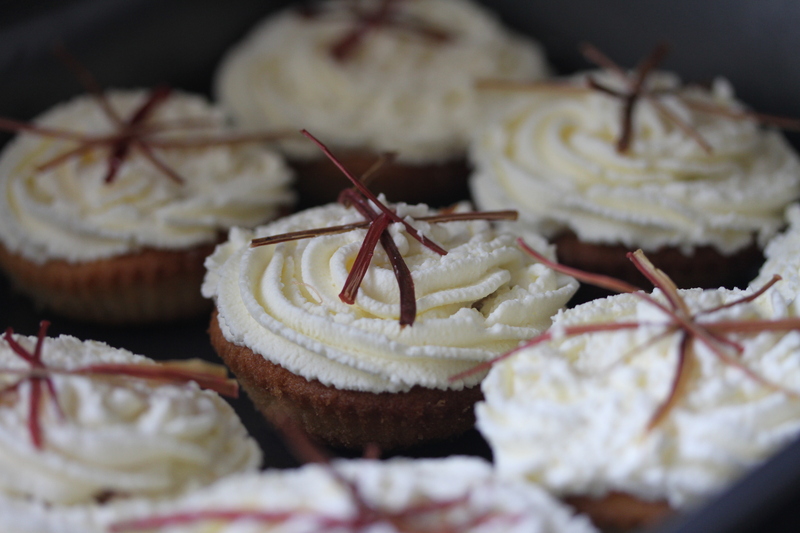 This weeks bake was all about baking for the 4th Great Abergavenny Bake off. A competition held in aid of Cancer Research and Sarcoma UK. 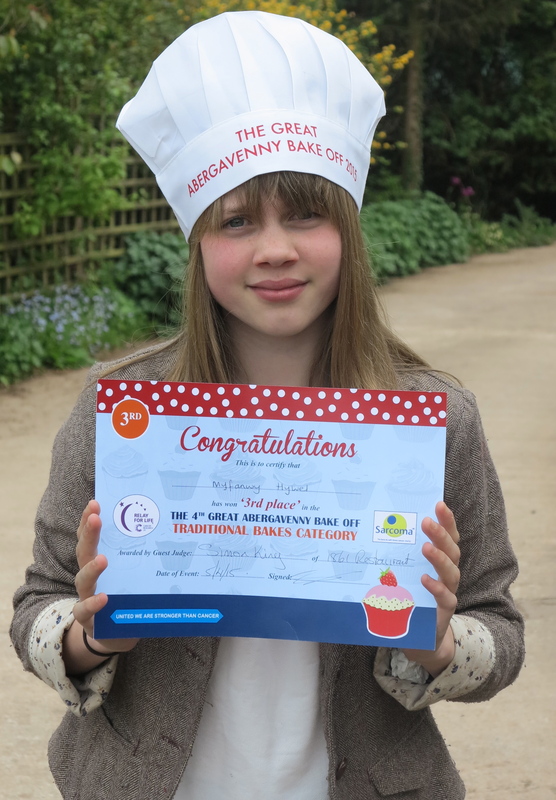 There were some amazing cakes in the competition and I got lots of ideas for me to try out at home. I entered two bakes. Rosie Rhubarb Fairy Cakes in the Cupcake Cake section and an Orange & Almond Cake in the Traditional Bake section. For some reason my baking was all over the place this weekend and I kept burning my cakes and couldn’t get my cupcakes to taste right. After burning two Orange & Almond cakes I managed on my third cake to get it right and I came third in the competition. Unfortunately my fairy cakes didn’t win. The nice thing about the competition is that people are able to bid for the cakes which raises more money for the cancer charities. The Orange & Almond cake is a gluten and dairy free cake and requires oranges to boiled for over two hours this makes the cake very moist. I then covered the cake in an icing sugar and cream mix which is then topped off with toasted flaked almonds and a bit of orange zest to add colour. The fairy cakes were a version of my Rosie Rhubarb cake but instead of making my normal rhubarb jam I made a rhubarb compote which I think wasn’t the best of ideas. Perhaps not the cheapest of bakes because of the problems but I had fun and it all helped raise money for charity.